Ketamine is an anesthetic medication that is commonly used by anesthesiologists during surgery. Unlike many other anesthetic medications, ketamine does not produce respiratory suppression, which makes its use desirable in certain medical settings. In fact, ketamine gained popularity on the battlefield in the 1970s since it was safe and effective in providing anesthesia. More recently, researchers have learned that ketamine has pain relieving properties in certain neuropathic pain conditions. 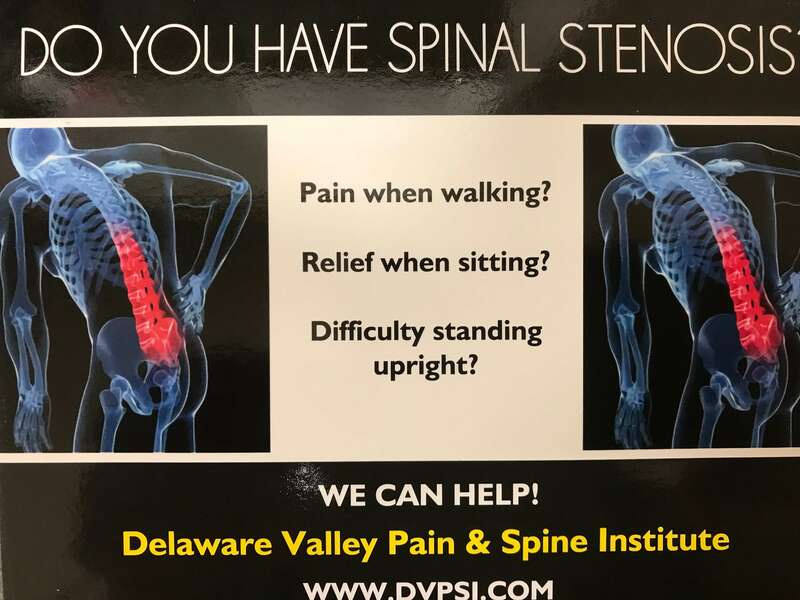 It is well known that pain begets pain; that is, when pain persists for a long period of time, the brain begins to perceive pain as more severe. In certain types of chronic pain, even non-painful stimuli such as wind blowing over the skin can elicit an intensely painful response. This phenomenon is commonly referred to as “wind up theory.” Ketamine works by preventing the “wind up” that occurs in some pain conditions. Ketamine attaches to a molecule on the spinal cord called the NMDA receptor. Blockade of the NMDA receptor by ketamine is thought to prevent the process of “wind up.” This is one of the prevailing theories for how ketamine works. Ketamine can be administered in various forms, but it seems to be most effective when given through an I.V. Typically, intravenous access is established in the arm and ketamine is infused in a monitored setting. Various protocols exist for the administration of ketamine, which may occur at low doses or high doses either at the hospital or outpatient infusion center. A nurse monitors the patient throughout the infusion, and blood pressures and cardiac monitoring occurs at regular intervals. Goldberg ME, Domsky R, Scaringe D, et al. (April 2005). “Multi-day low dose ketamine infusion for the treatment of complex regional pain syndrome”. Pain Physician 8 (2): 175–9. Sigteman, et al. Ketamine produces effective and long term pain relief in patients with complex regional pain syndrome type 1. 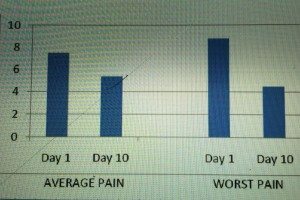 Pain: 2009.
twelve weeks, the ketamine patients experienced a return to their pre-treatment pain scores. Kieffer,Rohr, et.al. Efficacy of Ketamine in Anesthetic Doses. Pain Medicine: 2007. This study on patients with complex regional pain syndrome was performed in Germany. Patients were monitored in an ICU setting, and ketamine was infused through an IV at anesthetic doses to establish a medically induced coma. Twenty patients were studied. Ketamine was administered at 3 – 7 mg/kg/hr for 5 days to induce coma. 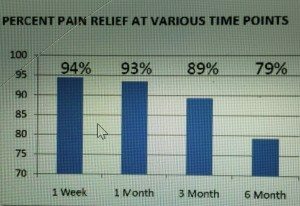 At the completion of the study, all patients had complete pain remission when evaluated one month later. Common adverse effects during infusion include but are not limited to agitation, hallucinations, vivid dreams, high blood pressure, dizziness, and nausea. Rare side effects such as arrhythmias are possible with any anesthetic medication including ketamine. Liver toxicity is another very rare side effect, which is why your doctor may obtain liver function tests. A nurse is present during the entire infusion to provide additional medications in the event that patients experience side effects. Continous monitoring of the cardiac rhythm, blood pressure, and blood-oxygen levels are obtained throughout the infusion. Long-term side effects are uncertain since the repeated use of ketamine is only recent in the field of pain management. Possible effects may include difficulty with learning, memory, and personality changes. Patients should be closely monitored for signs of addiction. Which Protocol Is Used By DVPSI? throughout the treatment. Depending on a patient’s response, repeat infusions may need to occur at regular intervals. Your doctor may adjust your ketamine dose over time.